"My project looked at how the Western hierarchizing of culture over nature is interpreted in the works of the Roman poet Ovid, the playwright Shakespeare, and the Italian painter Titian, and the stakes this hierarchy holds in the works of Frida Kahlo and Cherokee history and cultural stories. In juxtaposing these works, I hope to offer fresh interpretations to works long read and explored, and interrupt hierarchies at work in Western literature and art. The juxtaposition of ostensibly oppositional works also aims to bring feminine voices and perspectives to the forefront in discussing hierarchy." Isabell Retamoza (Porter) is a literature and feminist studies major. She is the inaugural recipient of the David Kadish Scholarship prize and a THI undergraduate fellow. After graduation, Isabel plans to move to Chicago and apply to law school at Northwestern University. 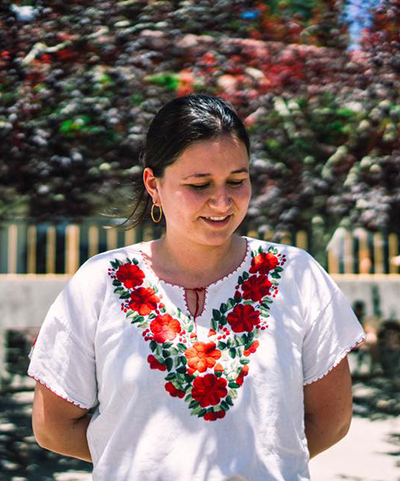 From now until commencement we’ll present profiles of a graduating student from each division at UC Santa Cruz as part of our special #UCSCAlumni Commencement feature. Stay tuned!